This How-to is based on my experienced configuring my gentoo for chinese support (and also with japanese and korean fonts). Therefore, only the softwares I am using will be described. Maybe the most complexe part is to have readable fonts. I needed time before achieving this point. The font which gave me the best impression is WenQuanYi Bitmap Song CJK Font (media-fonts/wqy-bitmapfont). For all this section, you may have a look to the Gentoo HOWTO Xorg and Fonts for more information about Xorg and fonts management. Some are for japanese (media-fonts/font-jis-misc, media-fonts/font-sony-misc and media-fonts/kochi-substitut), others for korean (media-fonts/baekmuk-fonts and media-fonts/font-daewoo-misc). The ones for chinese are: media-fonts/arphicfonts, media-fonts/font-isas-misc, media-fonts/hkscs-ming and media-fonts/wqy-bitmapfont. I have also installed the package media-fonts/intlfonts providing many international fonts. 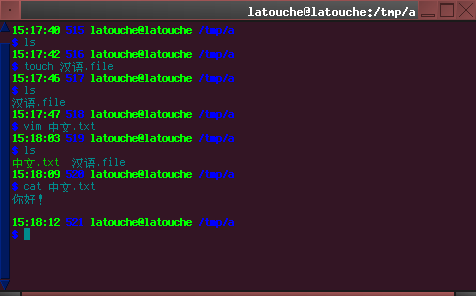 Once fonts have been installed, running fc-cache -fv will rebuild the font cache. wqy-bitmapfont is placed before other asian fonts to be used first. It is also usefull to uncomment the option Load "freetype" in xorg.conf. Most modern applications are using fontconfig to choose their fonts, thus it is important to specifiy that wqy-bitmapfont should be used first. /etc/fonts/conf.d # ln -s ../conf.avail/85-wqy-bitmapsong.conf . Because I didn't see any difference (fontconfig looks quite hazardous for me ...), I modified the following files to prioritize wqy-bitmapsong : 40-nonlatin.conf and 65-nonlatin.conf. To do that, I added WenQuanYi Bitmap Song at the begining of the aliases for serif and sans-serif. 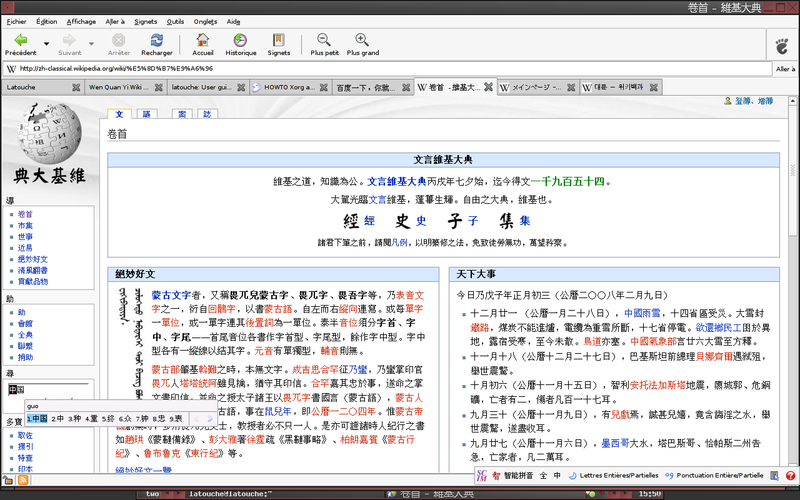 For typing chinese, I am using scim. It works nearly out of the box. I am using urxvt as my virtual terminal because it is light and it has a good support of unicode caracters. urxvt -fn "xft:terminus,xft:WenQuanYi Bitmap Song"
There is nearly nothing to change to have fluxbox working with chinese. 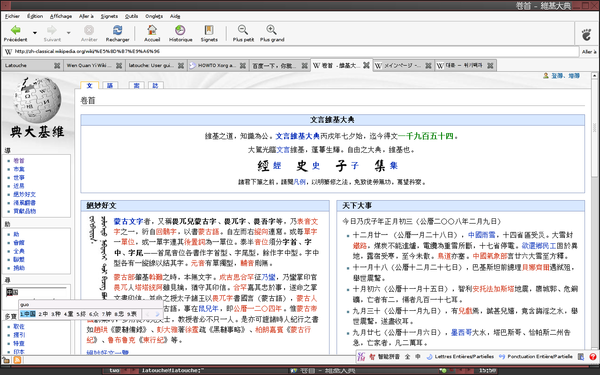 Juste modify the fonts (yes, it is always a question of fonts ...) so that they can display chinese symbols. First, copy the theme you are using into ~/.fluxbox/styles/ and edit the configuration file of this theme. Remplace the fonts by chinese compliant fonts.